Since the very first Marion-Bermuda Cruising Yacht Race in 1977, this biennial event has embraced a Corinthian spirit, with all yachts and sailors (many of them families) participating for the joy and pleasure of sailing, competition, and the camaraderie that develops from making an offshore passage to a rendezvous on one of the world’s loveliest islands. Well crafted by author Mark J. Gabrielson, Corinthian Resolve is much more than a documentary of this rite-of-passage race, with numerous firsthand accounts from sailors over four decades including the all women crew of Anne Kolker’s Stellar 52 Etoile (Tiverton, RI) consistent winners of the Faith Paulsen Trophy, which is awarded to the first overall finisher among yachts with all women crews. Organized by the Marion-Bermuda Cruising Yacht Race Association with support from the Beverly Yacht Club, the Blue Water Sailing Club and the Royal Hamilton Amateur Dinghy Club, the Race believes the teamwork required for safe completion begins with the youth who represent the future of our sport. 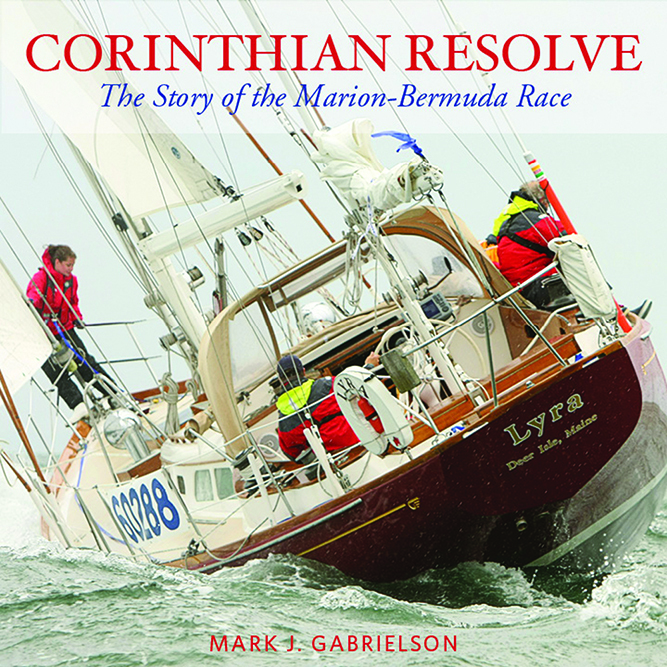 Proceeds from the sale of Corinthian Resolve benefit the Marion- Bermuda Race and its mission to support youth sailing programs in North America and Bermuda. Mark J. Gabrielson is the Marion-Bermuda Race Historian. He and his wife live in Boston, and he occasionally teaches at Harvard. His Hinckley Sou’wester 50 yawl Lyra is pictured on the cover at the start of the 2011 race. That photo and many others throughout this book are the work of a longtime favorite WindCheck contributor, Marion-Bermuda Race Photographer Fran Grenon.